This month we will be having a screening and discussion of the movie, Capernaum, as a part of Cinematic Conversations at Celebration! Cinema Woodland (3195 28th St SE, Grand Rapids, MI 49512). 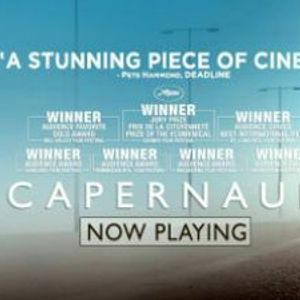 Film Synopsis: Winner of the Grand Jury Prize at the Cannes Film Festival, Nadine Labaki's CAPERNAUM ("Chaos") tells the story of Zain (Zain al Rafeea), a Lebanese boy who sues his parents for the "crime" of giving him life. CAPERNAUM follows Zain, a gutsy streetwise child as he flees his negligent parents, survives through his wits on the streets, takes care of Ethiopian refugee Rahil (Yordanos Shiferaw) and her baby son, Yonas (Boluwatife Treasure Bankole), being jailed for a crime, and finally, seeks justice in a courtroom. CAPERNAUM was made with a cast of non-professionals playing characters whose lives closely parallel their own. Following her script, Labaki placed her performers in scenes and asked them to react spontaneously with their own words and gestures. When the non-actors's instincts diverged from the written script, Labaki adapted the screenplay to follow them. While steeped in the quiet routines of ordinary people, CAPERNAUM is a film with an expansive palette: without warning it can ignite with emotional intensity, surprise with unexpected tenderness, and inspire with flashes of poetic imagery. Although it is set in the depths of a society's systematic inhumanity, CAPERNAUM is ultimately a hopeful film that stirs the heart as deeply as it cries out for action. Following the film, we will gather in The Party Room of the theater to have a round table conversation about the movie! 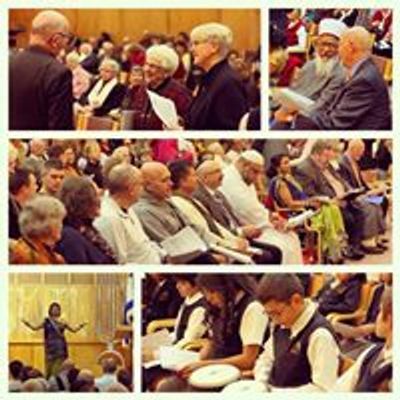 In addition to discussing the film, this interfaith movie cohort is designed to foster relationships around the shared experience of cinema. Individual $6 tickets will be available at the counter. This film is Rated R.
Sign up here to be notified of future "Cinematic Conversations" screenings, or contact Kyle Kooyers for more information at a29veWVyc2sgfCBndnN1ICEgZWR1. You can also join our Cinematic Conversations facebook group to stay in contact with other members between events.